For its fifth season, Star Trek: The Next Generation had a bit of a shake-around. The character of Ro Laren was introduced as a periodically recurring character to replace Wesley (who had departed in the previous season) and there was a dialling back of the more intricate continuity that had bound parts of the fourth season together, with more emphasis on stand-alone stories. This had mixed results: several of the very finest episodes the show has ever produced sit alongside some of the worst episodes to air since the first season. Things get off to a promising start with the continuation of the Klingon Civil War and Romulan arcs that dominated the fourth season. Redemption II does a good job of wrapping up those storylines and the Unification two-parter deals with lingering issues, but it's surprising that we don't hear any more about those storylines again. Unification also works as a solid character vehicle for Leonard Nimoy as Spock, who appears in a cross-over event to promote the-then contemporary movie Star Trek VI: The Undiscovered Country. Nimoy is splendid as usual, but the story continues The Next Generation's tendency to have great setting-up episodes in the first part of a two-part story only for the second to throw it away with a rather dull conclusion. Elsewhere, the season features several all-time classic episodes. Darmok, which forces Picard to work alongside an alien who can only speak in metaphor, is a terrific slice of television (if highly implausible) with some great chemistry between Patrick Stewart and Paul Winfield as his alien counterpart. The fact that the mere mention of "Shaka, when the walls fell," can trigger meme-like quotes of the episode almost twenty-two years on is a testament to how good it is. Ensign Ro introduces the titular character and promptly breaks several of the show's key rules (not having conflict between Starfleet officers and not basing episodes around the guest star of the week) to excellent effect. Michelle Forbes is terrific as Ro and her recurring appearances are highlights of the season. Disaster and Power Play are effective siege stories (in the former case due to a catastrophic accident and in the latter due to alien possessors taking hostages) and The Next Phase is a fun adventure for Geordi and Ro. Cause and Effect is a great remake (but in a bit more depth) of a Red Dwarf gag. But the outstanding season highlight is The Inner Light, in which Picard gets zapped with the memories of aliens who have been dead for a thousand years and get to see how his life might have played out in other circumstances, complete with children and a loving wife. Patrick Stewart is magnificent and the episode deservedly won a Hugo Award. It's The Next Generation's City on the Edge of Forever, only better. Elsewhere, we get a lot of mediocre-to-okay episodes. Silicon Avatar is a bit of a weak resolution to the Crystalline Entity storyline that began back in Season 1, whilst A Matter of Time is a very cheesy episode elevated by a terrific guest turn from Matt Frewer. This use of quality guest stars also redeems The Game and The Perfect Mate, which could have both been weak without some great appearances by Ashley Judd and Famke Janssen (both before their later movie careers took off) to elevate things. The Masterpiece Society is a potentially very good episode wrecked by the main threat in it being rather over the top (the stellar fragment would completely destroy the planet Picard is trying to save, rendering their ethical objections to the disruption of their society moot). Conundrum is an effectively tense episode. Ethics is reasonably good, invoking a moral dilemma and putting Crusher on the 'wrong' side of the debate with Worf's life at stake. The Outcast tries to say some interesting things about sexuality and gender issues but back-pedals away from anything too controversial and ends up being notable more for being one of the very few episodes of the series where our heroes 'lose'. The First Duty adds some urgently-needed shades of grey to Wesley and humanises more than his first four years on the ship combined did. I, Borg humanises the Borg for some great drama (and a great guest turn from Whoopi Goldeberg as Guinan) but this comes at the cost of destroy the Borg's otherworldly implacability, reducing them to the status of just another alien race. Against that we have Cost of Living, literally the worst episode of the series to air since Season 1. Hero Worship and Violations aren't far behind it, and Time's Arrow, despite a few good moments, is easily the worst season cliffhanger Star Trek has done in its history. For this HD re-release of the season, CBS have, as usual, done an outstanding job. The episodes look like they were filmed yesterday, the special effects are astonishing (even moreso given they - in the main - have not been redone from scratch but are the original effects footage remastered) and overall the visual and sound quality of the series far surpasses that of the standard definition versions. The only slight disappointment is that there seems to be more missing film stock for this season than the previous ones, resulting in a few more noticeable moments (though only a few seconds each) where the SD footage has been upscaled instead. This is easily bearable, however. Slightly more disappointing is the quality of the special features. There's some nice stuff on the music, but the on-going documentary about the making of the series gets sidetracked by Gene Roddenberry's death during the making of this season and overlooks the opportunity to talk about many interesting episodes. It may be that the producers were starting to run out of ideas about what to do for special features for the fifth set in a row, which is disappointing. The fifth season of Star Trek: The Next Generation (****) is a mixed bag, with some dire episodes and a fair few middling ones. However, the quality of the best episodes elevates the whole thing and certainly makes it worth watching. The season is available now on Blu-Ray in the UK and USA. Miles Vorkosigan visits Eta Ceta, the homeworld and capital of the empire that formerly ruled his own planet, as a diplomatic envoy. What starts off as a fairly routine job - representing his world at a state funeral - escalates into a clandestine battle of wits between Miles and an unknown Cetagandan enemy who is trying to frame Barrayar for a crime and reignite hostilities between their two empires. Miles has to find and defeat this foe without offending his hosts or shaming his own world. Cetaganda is the fifth novel (by chronology) in The Vorkosigan Saga and the shortest to date, clocking in at only around 250 pages. It's a slight story, and feels more like an expanded short story than a fully-fleshed out novel. On the successful side of things, Bujold brings her trademark wit and readability to the story. To use a lazy reviewing tactic, if you liked the previous books in this series, you'll probably like this one as well. However, Bujold is arguably unsuccessful in really making the Cetagandans (here making their first on-page appearance after many frequent mentions) an impressive, convincing society. 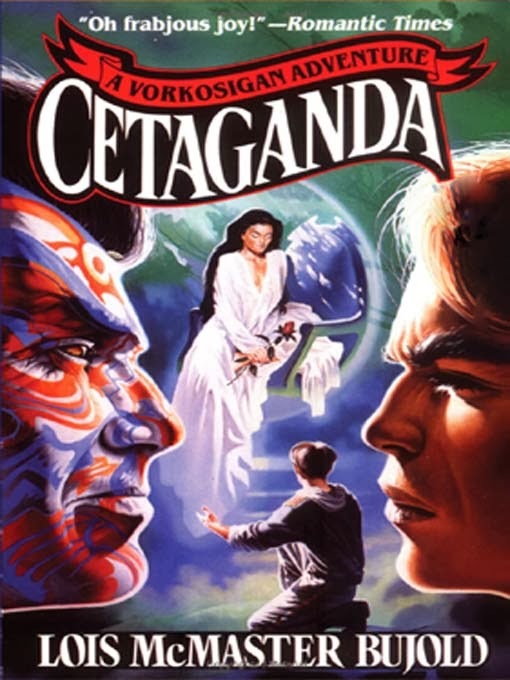 The Cetagandan Empire is ruled under a bewildering array of rules relating to male/female relations, genetic engineering and social function, which is all fine until you realise it would be too easy to topple the whole thing if enough people decided they didn't want to play along (as indeed almost happens in this novel). More damaging is the fact that Bujold does not complicate Miles's story enough. Every time something bad happens, Miles immediately shifts it to his advantage, and he is never on the back foot for more than a paragraph or two. With a long series based around one character you have to constantly be on the look-out for that character becoming too infallible or invulnerable, and that nearly happens to Miles here. Still, even a sub-par Vorkosigan novel remains a fun, if lightweight, read. Cetaganda (***½) is available now in the UK and USA as part of the Miles, Mystery and Mayhem omnibus. 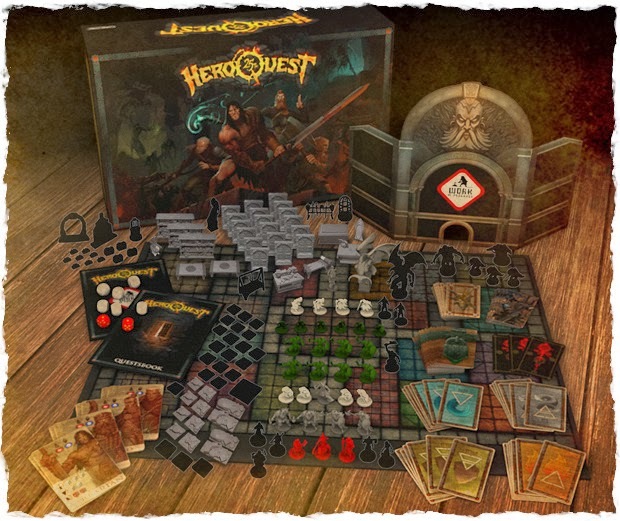 Gamezone Miniatures, a Spanish company, are crowdfunding a new edition of the classic Hero Quest boardgame, as related previously. Gamezone have repeatedly said they have the legal rights to do so, and have been in consultation with Hasbro about it. However, game designer Mike Selinker, a veteran of both Hasbro and Paizo, pours cold water on these claims in an interview with Gaming Trend and a discussion board on Board Game Geeks. In both cases, he points out that Gamezone may indeed have the Spanish trademark for the game, but this does not automatically allow them to re-release the game without Hasbro's permission. 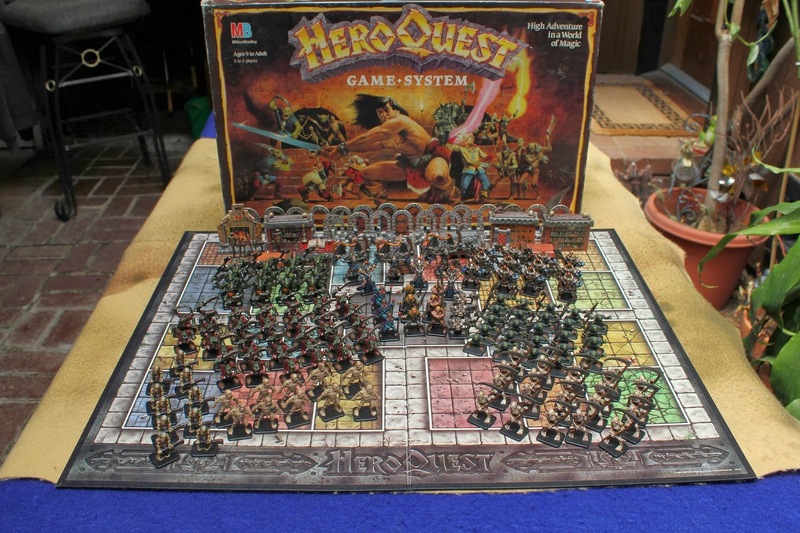 The fact that they are doing so, and that Hasbro has not yet stopped them, hints at another possibility: that their Hero Quest game will have substantially different rules to the original game and will merely be using the same name and the same generic fantasy archetypes. If so, this will be disheartening to the majority of backers, who no doubt committed funds on the basis that this would be a simple remake of the original game, rules and all. Selinker's conclusion is that the end product will be either infringing of Hasbro's copyright (if Hasbro don't stamp on it first) or will be de facto fraudulent (the game they deliver will not be the game backers were expecting), with neither alternative appealing. It looks like this controversy will run and run, at least for a while. George R.R. Martin's UK publishers, HarperCollins Voyager, have offered (via a redacted Twitter exchange) a rare comment on the progress of The Winds of Winter, the sixth and planned-to-be penultimate volume of A Song of Ice and Fire. They have confirmed that the novel will definitely not be published in 2014, but that a 2015 release is possible. A fan mock-up of the potential cover to the book. 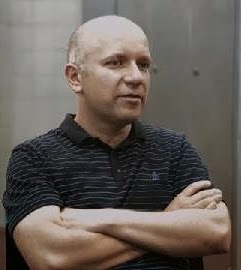 To clarify, Martin himself has not offered an update on the book's progress since April 2013 when, on the carpet for a Game of Thrones TV event, he confirmed that about a quarter of the book was complete (very roughly 375 manuscript pages, assuming the book will be as long as A Dance with Dragons) with additional material in drafts and partial chapters also done. Subsequently, he offered upbeat assessments that he was writing fast to stay ahead of the TV show (which will begin introducing plot elements and even characters from Books 4 and 5 in the fourth season, due to air from April to June this year) but not specific page counts. To focus on The Winds of Winter, Martin eliminated his outstanding side-projects in the first half of 2013, completing editing work on several anthologies (some of them now out) and concluding his contribution to The World of Ice and Fire companion volume. Several other works that were judged to be too time-consuming have either been cancelled completely (a short story for a Poul Anderson tribute anthology) or put on the back-burner until either the completion of The Winds of Winter (most notably the next Dunk 'n' Egg short story) or the completion of the whole series (a second and more in-depth companion volume, tentatively dubbed the 'GRRMarillion'). The result is that Martin has certainly had time to make inroads on The Winds of Winter. Last month, a website randomly said that Martin had over a thousand manuscript pages completed for the book. Martin later confirmed that he had said no such thing, whilst not offering an update on his estimated page count for the book. 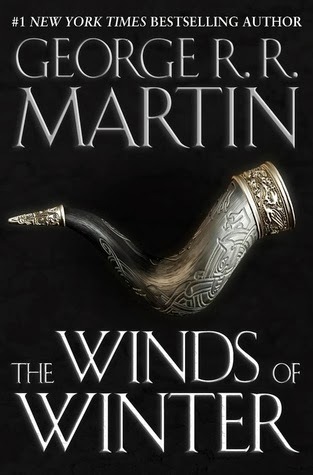 It may be that we will get an update on the book during the inevitable press clamour for Season 4, but also possibly not: after providing updates on A Dance with Dragons that didn't seem to help the situation, Martin has indicated that he will be providing far less frequent updates on The Winds of Winter, if any at all. However, it should be noted that George R.R. Martin has also said he wants to stay ahead of the HBO TV series if at all possible, and this will only remain a realistic goal if The Winds of Winter is released in 2015 with A Dream of Spring to follow, at the absolute latest, in 2018. As always, believe nothing (not even this post!) until it comes from GRRM directly. Monstrous creatures called dredges are invading the kingdoms ruled by both men and the giant varl. On opposite sides of the continent, two separate forces have to fight their way through the dredge hordes and guide both their armies and the civilians under their protection to safety...if they can find any. 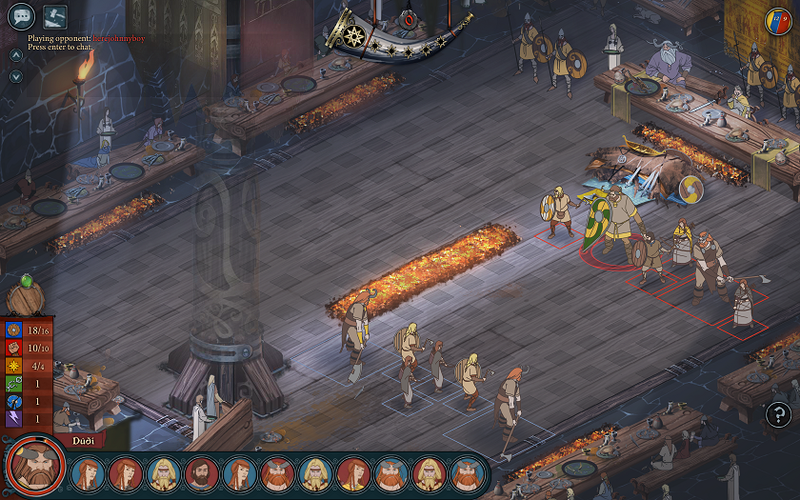 The Banner Saga is the debut game from Stoic, a new development team made up of ex-members of BioWare. In contrast to BioWare's big, epic 3D RPGs, The Banner Saga is a 2D game which mixes tactical, pause-based combat with an epic story and making decisions which can dramatically alter who lives and who dies in that story. Gameplay is undertaken in two modes. In one mode, your caravan is on the road and has to cope with limited supplies, dwindling morale and disputes within the convoy (a bit like The Oregon Trail). Morale can be boosted and characters upgraded by making camp, but this eats up valuable supplies. You can purchase more supplies at towns (and sometimes from passers-by) by using Renown, but this is also the resource used to level up your heroes. The game thus forces you to make harsh decisions: use Renown to increase your characters' combat skills at the expense of civilian lives in the caravan, or concentrate on getting as many people as possible to safety, but perhaps storing up trouble by not preparing your heroes for the tougher enemies who appear later on? Once battle is joined, the view shifts to an isometric battlefield where you can order your heroes to move, engage in combat or use special abilities, a little bit like XCOM but with no cover mechanics. The number of abilities is gratifyingly large and varied, and even basic combat is made more tactical by the presence of armour mechanics where you have to break enemy armour before you can inflict significant wounds. The game also intriguingly combines hit points and strength: by damaging an enemy, you also make them weaker and prevent them from inflicting as much damage on you. Two fairly basic ideas, but they make a big difference on how combat operates. Particularly gratifying is the way it makes combat more unpredictable, with an apparently invincible enemy suddenly being neutralised by inflicting moderate amounts of damage to make his attacks less lethal. The storyline is - eventually - fascinating, although it's perhaps presented a little too obtusely. The game starts in media res and the game makes few attempts to explain what's happening. Then, just as you start to get a handle on things, the story switches POV to a whole bunch of other people a thousand miles away, and then you have to adapt to them. The two caravans are rather different in tone, with the first one consisting mostly of varl who are being extremely tough in combat, whilst the second consists mostly of civilians and is more dependent on archers, missile attacks and avoiding damage. The story, which takes on Malazan levels of confusion before becoming clearer, ends up being quite gripping. There are twists and turns, including a bloody betrayal that even George R.R. Martin might think is a bit much. Depending on your story choices, you may not encounter the same situations with events unfolding differently depending on what you do. The biggest talking point about the game is the artwork, which is fantastic. It's deliberately meant to evoke Disney movies from the middle of the last century with clear, distinctive lines and colours. The minimalist musical score by Austin Wintory (the same guy who did Journey) is also extraordinary, with just the right about of brooding atmosphere. The game's limited budget means no voice-overs (aside from infrequent appearances by a narrator) but the writing is strong enough that this does not matter. 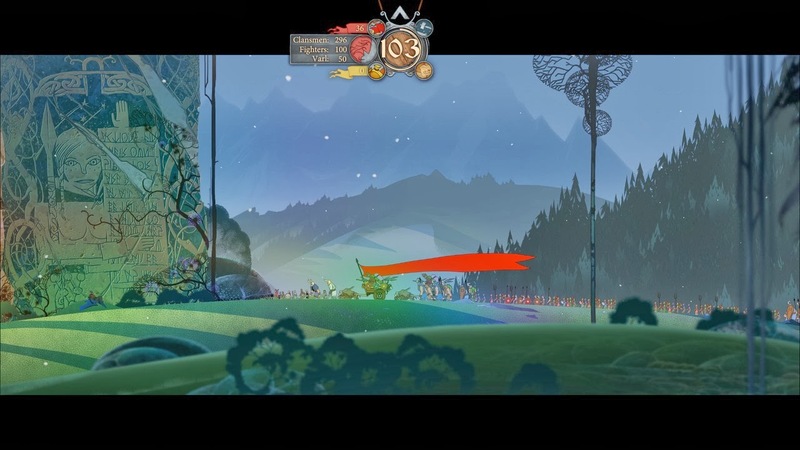 On the negative side of things, The Banner Saga could perhaps do with a bit more variety in combat. There's a very small number of enemy types and constantly fighting those few types soon gets repetitive. The game's save system is also poor, with it often being unclear if the game saved the last time you quit or three tough battles before that. Finally, the game's Renown system really doesn't make sense (how does Renown work simultaneously as reputation, currency and skill points?) and massively limits how you proceed through the game. Whilst it's good that the game is quite harsh in places and you can get into unwinnable situations, it's frustrating when such situations arise not from your own actions but from questionable design decisions. The Banner Saga (****) is a beautiful, atmospheric and refreshingly different kind of game, a tactical, turn-based RPG by way of a strategy game, mixing genres and styles from everything from XCOM and Battlestar Galactica to roguelike games and steampunk. Some iffy design decisions eventually become frustrating, but this is still very much a game worth playing. It is available from Steam now. 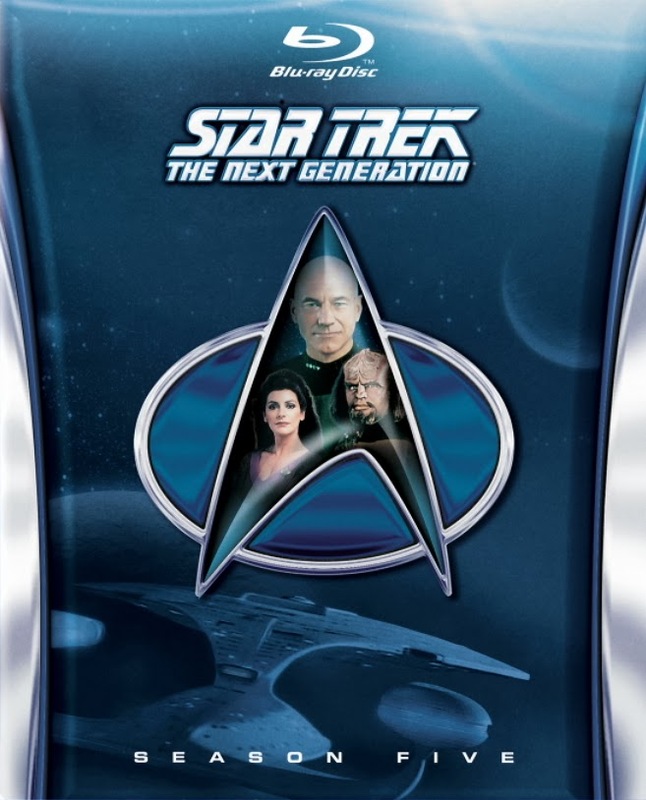 Back in 2012, CBS began re-releasing Star Trek: The Next Generation on Blu-Ray. At great expense they went back and remastered the series from the ground up, extracting a HD image from the original 32mm film and redoing all of the effects from scratch. A labourious, expensive and time-consuming task - taking six months and approximately $9 million per season - the work has paid off with the series selling very well. Seasons 6 and 7 of the remastered Next Generation are expected to be released later this year, with Deep Space Nine hopefully to follow. It's unsurprising that other companies are now looking at doing the same thing. Warner Brothers have confirmed that they are 'looking at' Babylon 5 and, hopefully, the likes of Buffy the Vampire Slayer and Angel (Buffy's first two seasons were particularly poorly mastered and if they can redo them in HD, I think everyone would be grateful). But it's Fox who are the next out of the gate, launching a completely remastered version of The X-Files. Oddly, the HD version of the series isn't launching on Blu-Ray, Netflix or in the States, but on German TV, where ProSieben Maxx have already started airing the series. Picture comparisons posted on various sites already show a huge improvement in image quality, although sadly the effects footage has only been upscaled, not redone from scratch like ST:TNG's. 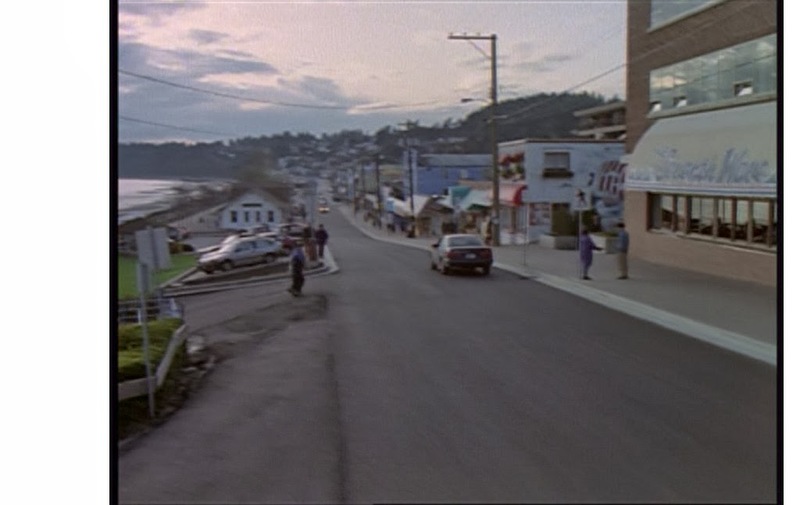 On the one hand, big effects sequences are rare enough in The X-Files that this is not too jarring a problem. On the other, since there are relatively few scenes it's rather baffling why Fox didn't shell out to redo them. 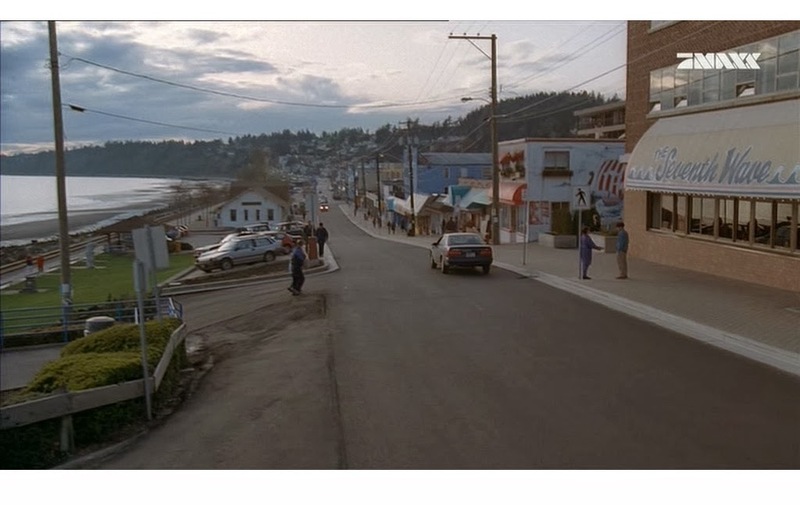 Another problem is that stock footage used by the show, particularly of locations in places like Washington, D.C., remain in SD, resulting in occasional-but-brief drops in image quality. However, one very nice bonus is the fact that the show is now in widescreen. Star Trek: The Next Generation was 'shot for TV', meaning that whilst widescreen cameras were used, only the middle section of the camera view (i.e. what a late 1980s TV audience would see) was kept clear. This means that the widescreen shots often have crew, props, extras, actors waiting for cues, the edge of the stage etc, in view, so it was impossible to get a usable widescreen image. The X-Files, however, was launched after the Laserdisc and early widescreen TV boom of the early 1990s when TV companies realised that widescreen was the way forwards. As a result, it was filmed with widescreen in mind and this new HD release is the first time viewers have been able to see the show in this way. That said, the pilot was shot somewhat differently, with the result being that some cropping was necessary to get it looking right. How Fox are going to handle this on Blu-Ray is unknown, since cropping images to eliminate information just to get a widescreen effect is generally frowned on. The rest of the series, which was apparently filmed to account for this, should not suffer the same problem. No timeframe has been given for the release of The X-Files on Blu-Ray, but it seems like it's a safe bet for later this year. It's also rather unclear why Fox have slipped the show out on German TV like this before confirming a US release date. After their previous crowdfunded resurrection of Hero Quest floundered on the shoals of iffy legal licensing rights, Gamezone Miniatures have returned with a new attempt. This time they are using Spanish crowdfunding site Lanzanos to fund the resurrected game. In all other aspects, this is the same deal as their previous Kickstarter attempt: a new boxed set, with all Warhammer/Games Workshop-troubling lore and design references removed. The rules, spells, characters etc all remain the same, but the new version of the game will improve on the original in some respects: the cardboard scenery and obstacle markers will be replaced by plastic miniatures. The campaign runs for another 23 days, but the game is already funded to the tune of 402% of its original goal. As more money is raised, more features will be added to the game (including extra cards, character sheets, models and so on). Assuming no more obstacles, the game should be available to buy at the end of this year. 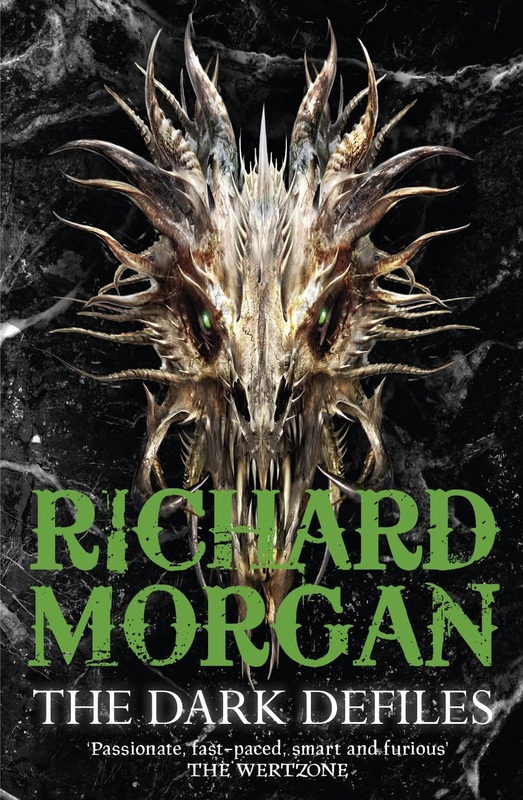 Richard Morgan has confirmed that he has finished The Dark Defiles, the concluding volume of the Land Fit For Heroes trilogy which began with The Steel Remains in 2008 and continued with The Cold Commands in 2011. As Morgan says, this is by far the longest book he's ever written. At 247,000 words, it's a little bit shorter than Patrick Rothfuss's The Name of the Wind (259,000 words) and almost half again the length of The Cold Commands. At one stage the book was getting so big there were talks about splitting it, but that fear seems to have passed. The book is listed as being released in the UK on 21 August and in the USA on 7 October, though neither date is finalised yet. Great news. Morgan has reported that his next project will probably be SF, possibly set in one of his already-existing universes, so it'll be interesting to see what he comes up with. In the meantime, we have one very large fantasy (with SF overtones) novel to tide us over with. Queen of Dreams, the first novel in Peter F. Hamilton's Book of the Realms trilogy for younger readers, is out now. There are two more books to follow in the trilogy, already written and completed. The Abyss Beyond Dreams is Hamilton's next adult SF novel. It is the first in a series called Chronicle of the Fallers and is set in the Commonwealth Universe, the setting for the Commonwealth Saga and Void Trilogy. This series is expected to be a duology, with Book 2 called The Night Without Stars. As of last month, Hamilton had almost completed the novel and it is anticipated for publication in September or October of this year. The Night Without Stars should follow in mid-2016. Neil Perryman is a huge Doctor Who fan. His wife, Sue, is not. Perryman hits on the idea of getting his wife to watch every single episode of Doctor Who - even the ones that technically no longer exist - and recording her reactions as a 'civilian', someone who isn't immersed in the fandom, someone who doesn't visit Doctor Who websites and someone who doesn't know that Robots of Death is supposed to be really good. The result is not this book. Instead it's a blog, to be found here. The experiment took in watching 700 episodes and 156 serials over the course of two years, accumulating half a million words in the process. It would have been cheap and easy to simply condense the blog into a book format, but fortunately Perryman doesn't do that. Instead, the book is more about the experience of being a Doctor Who fan and the love/hate relationship that inspires with the show. It's also about the relationship between someone who is a geek and SF fan and someone who is - apparently - a 'normal person'. The result is a book that works surprisingly well on number of levels. It can be read by Doctor Who fans - the author slips in a few in-jokes only they will get - as well as their spouses/children/partners, who will find themselves sympathising more with Sue and her daughter as Neil makes another doomed attempt to get them into the show. The relationship dynamics at play are quite interesting, and it is amusing to discover the things that Sue obsesses over as well (such as carpentry and house renovations). 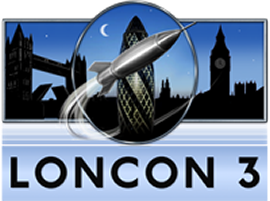 It helps that Neil Perryman is an engaging writer, with prose skills honed by many years working on various Doctor Who websites, attending conventions and working as a university lecturer. He has a dry sense of humour and a level of self-awareness over the crazier aspects of Doctor Who fandom - which sometimes inspires him to do ill-advised things as a wince-inducing encounter with Colin Baker demonstrates - which is entertaining. Perryman knows when to explore a subject in further depth and when to briskly move on to more interesting topics. There's also occasional, Dave Gorman-ish diversions into statistics and how Sue's view of individual episodes compares to the fandom's, which could be dry but ends up being amusing (especially how Sue's least-favourite Doctor ends up providing the highest-rated episodes). Mostly, it's a book about a relationship between two people with very different interests and how they manage to bridge that divide. The cover blurb that the book may work as therapy may not be as far-out as it sounds. 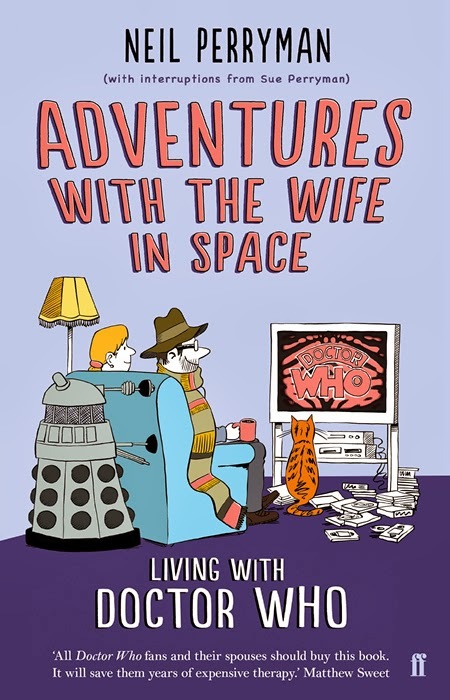 Adventures with the Wife in Space (****½) is a book for Doctor Who fans and non-fans who have to put up with them. It bridges the gap between SF fans and non-fans and presents differing perspectives of fandom. It's also funny and occasionally even sweet (without ever getting twee). The book is available now in the UK and USA. Having started out as a series of best-selling novels and short story collections before becoming a series of multi-million-selling video game RPGs, The Witcher franchise is now set to become a board game. The game is being developed by Fantasy Flight in conjunction with CD Projekt Red, the developers of the video games. 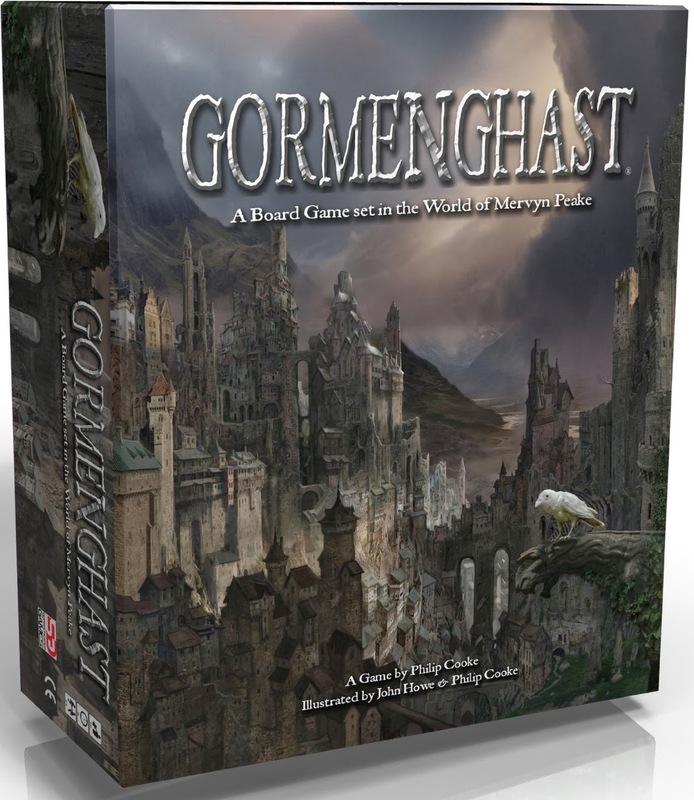 Its main designer is Ignacy Trzewiczek, whose track record in board games and RPGs is fairly impressive. 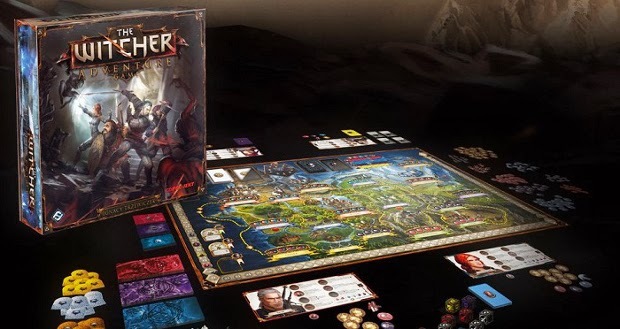 The board game is expected to be released later in 2014, possibly to tie in with the release of The Witcher III: Wild Hunt (expected around August). 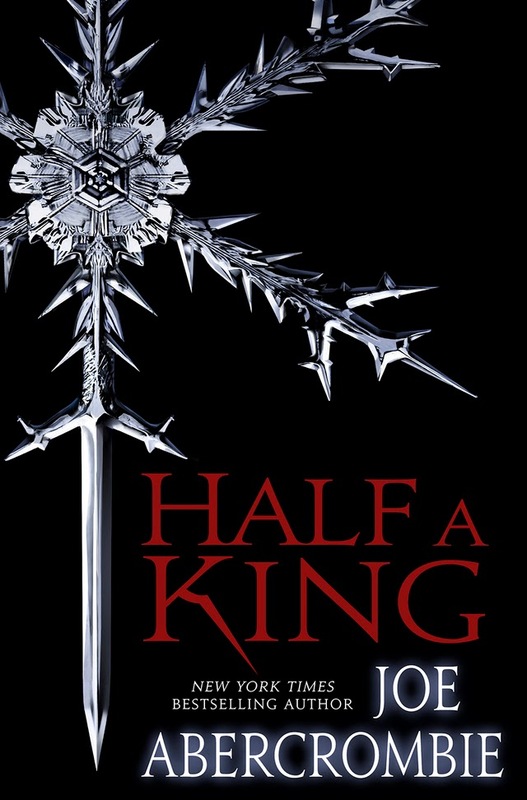 io9 have released the (presumably American) cover art for Joe Abercrombie's next novel, Half a King.The first in a new trilogy aimed at a somewhat younger audience than his previous work, it will be published on 8 July in the United States by Del Rey and around the same time in the UK by HarperCollins. 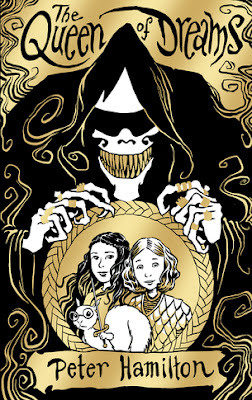 io9 also have an extract from the novel which is worth checking out. HBO has released a trailer for their first trailer for Game of Thrones's fourth season, which will be shown on Sunday. The trailer that is, not the actual fourth season, which will start on 6 April. Next year I expect HBO will release a trailer for the trailer of the trailer of Game of Thrones's fifth season. 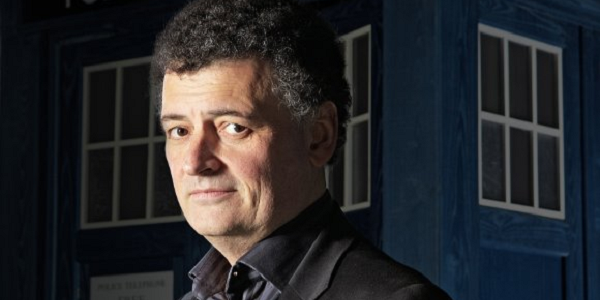 Who could replace Steven Moffat as DOCTOR WHO showrunner? Doctor Who has just begun filming the eighth season since its return from the dead in 2005, with Peter Capaldi firmly ensconced in the role of the Twelfth Doctor and due to start transmission in August or September. However, there is mounting speculation that Steven Moffat, the show's chief producer and showrunner since 2011, will be moving on from the show either this year or by the end of 2015. Moffat has indicated in interviews he is closer to the end of his tenure than the start, and there are some widespread rumours that the plan was originally for Matt Smith to stay on for an extra year with both Smith and Moffat bowing out together allowing a completely new team to take over. 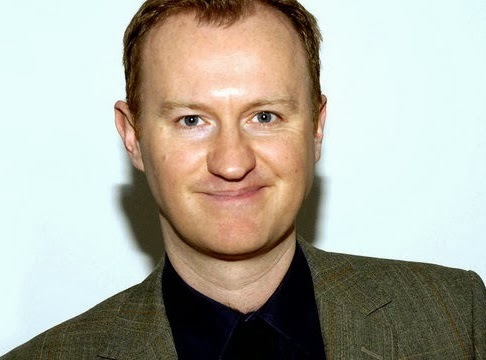 Smith's departure was actually a relatively late decision (backed up by interviews where he confirmed he'd be back for Series 8 just a few weeks before announcing his departure), forcing Moffat to remain on board to handle the transition. This would also explain why the recent Christmas special, The Time of the Doctor, was horribly rushed in how it patched up Smith's remaining plot threads, because it originally was not designed for that purpose. Speculation is now mounting as to who will take over the role. Doctor Who is one of the most demanding shows on British television, filming for nine or ten months of the year and requiring substantial amounts of writing work and rewrites, without having a massive writing budget (one of the reasons recent showrunners have written a large number of scripts themselves). The BBC would also presumably prefer someone with showrunning experience who can cope with the show's arduous schedule and demands. Pros: An extraordinary amount of Doctor Who experience and passion for the programme. An Adventure in Space and Time is widely-regarded as the highlight of the show's 50th anniversary celebrations. Pros: Misfits is one of the most well-received and critically-acclaimed UK SF shows of the past decade and is a cult success in the United States. Dirk Gently was also well-received. Overman's familiarity with the SFF genre and his experience combined with a lack of working on Doctor Who previously gives him a good, fresh perspective which the BBC might find attractive. Cons: Cross is based in New Zealand and prefers not to travel abroad for long periods (along with bduget issues, presumably one of the reasons Luther's seasons were only three episodes long). Becoming a Doctor Who showrunner would require a permanant relocation to the UK for several years. This would also require Cross to put his lucrative Hollywood scripting career on hold, or at least reduce it substantially for several years, which he may not be keen to do. Also, The Rings of Akhaten was embarrassingly bad, despite some good ideas. 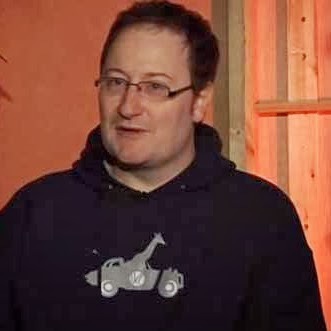 Other experience: Chibnall has also written two episodes of Life on Mars, multiple episodes of Law and Order: UK (on which he has also served as a producer) was the prime creative driving force on the badly-received 2011 historical fantasy series Camelot (interestingly, Chibnall had pitched this show to the BBC years earlier which eventually saw the light as the - far superior - Merlin, without Chibnall's involvement). In 2013 Chibnall penned the extraordinarily well-received series Broadchurch (starring Doctor Who's David Tennant), which will be both getting a sequel series and also an American remake. Doctor Who experience: Neil Gaiman is the writer of the extremely well-regarded episode The Doctor's Wife (which won a Hugo Award in 2013) and the somewhat less-well-regarded (even by its writer) Nightmare in Silver. Other experience: Gaiman is the writer of the highly critically-acclaimed graphic novel series Sandman, regarded as one of the most important comic series ever written. He's also written well-regarded novels including American Gods, Anansi Boys, The Graveyard Book and the recent The Ocean at the End of the Lane. Several of his books have been adapted as successful films, including Coraline and Stardust. He was also the only person other than J. Michael Straczynski to write an episode of Babylon 5 in its last three seasons. 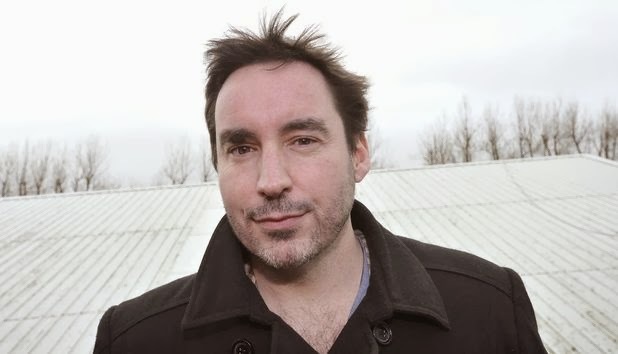 He is also the creator of the TV mini-series Neverwhere, which he later adapted into a bestselling novel. He has been working on a TV version of American Gods for the best couple of years, formerly at HBO but now for an unidentified network. 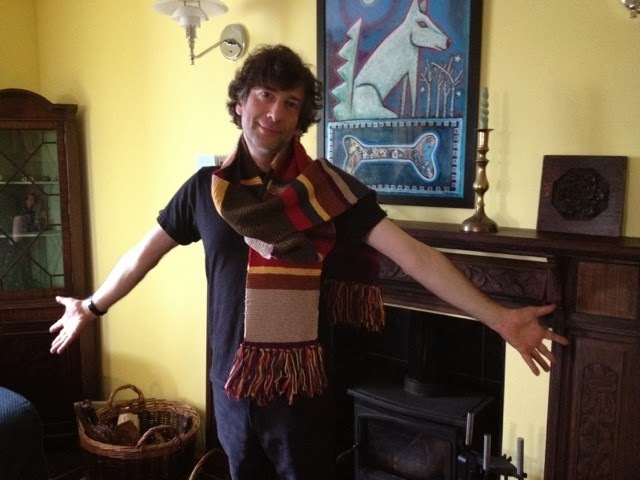 As well as being a major fan of Doctor Who, Gaiman is also a fan of the works of Douglas Adams and has penned a book about the Hitch-Hiker's Guide to the Galaxy novels and radio play. Doctor Who experience: J. Michael Straczynski was a fan of the orginal Doctor Who in the 1970s and 1980s. He has cited it - along with The Prisoner and Blake's 7 - as an influence on the writing of his TV show Babylon 5. Specifically, he has cited the season-long story arcs (such as the Key to Time season) as being influential on his development of Babylon 5's story structure. 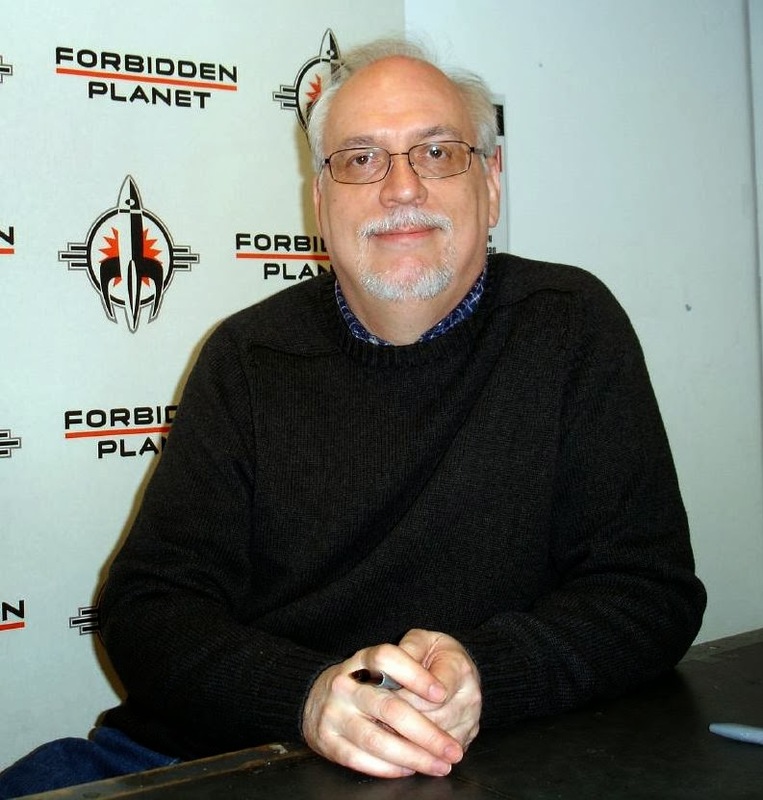 Other experience: Straczynski was a script-editor and producer on shows like Murder, She Wrote and Captain Power whilst also writing for animated series including He-Man and Ghostbusters. 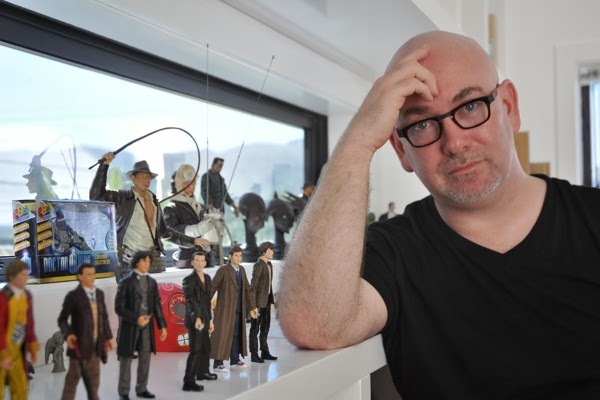 He is best-known for being the co-showrunner and primary writer of Babylon 5, which ran for five seasons in the late 1990s and is credited with the boom in 'story arc' storytelling in television (which Doctor Who itself has latterly employed). Straczynski later went on to become the primary showrunner on Jeremiah before writing the script for the Clint Eastwood move Changeling. He is also extremely active in comics, writing for everything from Spider-Man to the recent Before Watchmen project. That's pretty much it. Someone's taken Mervyn Peake's ornate, ultra-dense gothic fantasy and turned it into a board game. Is it any good? No idea. But it does make me think that the days of the Book of the New Sun tactical miniatures game can't be far off. Miles Vorkosigan graduates from the Imperial Academy on Barrayar and is immediately assigned as a weather specialist on a remote arctic base. Given that he knows nothing about weather science and was expecting a space posting, Miles is unhappy with his assignment. However, what starts off as a minor job soon has Miles travelling to distant worlds, hooking up with some old friends (and enemies) and getting embroiled in a major interstellar incident. In other words, it's business as usual. 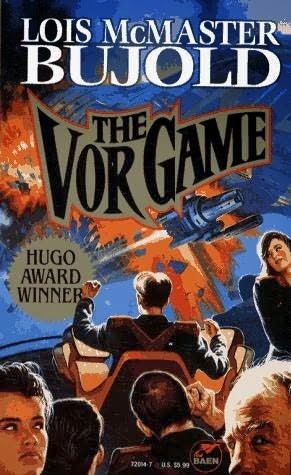 The Vor Game is the fourth novel (by chronology) in The Vorkosigan Saga and the second to feature its signature character of Miles. The novel picks up after the events of The Warrior's Apprentice with Miles now graduated from the Academy and ready to start his life of military service. As previously, Miles's physical weaknesses (he suffers from brittle bones and is stunted due to a poison gas attack on his then-pregnant mother) both hinder his ability to get involved in the action and also act as an easy means for his enemies (and friends he's trying to avoid) to identify him. Once again, Miles has to use his wits and intelligence to overcome obstacles and emerge on top. This time around the obstacles include a psychotic military base commander, almost dying of exposure, being captured, being enslaved, almost being shot and being pursued by a lunatic femme fatale with delusions of becoming Empress of Barrayar. As with The Warrior's Apprentice, the book starts simply enough and then snowballs, accumulating plot points, characters and complications with almost frenzied energy. As with its forebear, the book is a highly readable, page-turning experience. Bujold knows how to pace even a complicated story (and between the bluffs and double-bluffs, this book has become fairly complex by the time it ends) well and combine it with action as well as character-building material. A key theme in this novel is that Miles has problems with subordination, which is a bit of a problem in a military hierarchy, and his way of dealing with the crisis in this novel provides an idea on how Barrayar can use him to further its goals despite his limitations. As usual, Bujold mixes out-and-out moments of high comedy (though The Vor Game isn't as much of a comedic romp as The Warrior's Apprentice) with darker moments. Despite starting in a completely different place, it's also very much a continuation of The Warrior's Apprentice, with some character arcs continuing between the two novels. If The Vor Game has a major problem, it's that it's slightly too reminiscent of its forebear. This is very much The Further Adventures of Miles Vorkosigan and if you enjoyed the previous book, you'll like this one too. Bujold knows how to tell a ripping yarn and keep the pages flying, but this novel lacks originality and it lacks the previous novel's ability to spin on a dime between tragedy, comedy and drama. I was rather surprised to learn that The Vor Game is a Hugo Award-winning novel, both because it wasn't as good as the competition (The Fall of Hyperion was a better novel in the same year, probably Earth as well) and it's not quite as good as The Warrior's Apprentice. Still, The Vor Game (****) is a fine, entertaining SF novel. It is available now in the UK and USA as part of the Young Miles omnibus, along with The Warrior's Apprentice and the novella The Mountains of Mourning. Brynd Lathraea has saved the city of Villiren from the invading Okun. Jamur Rika has now made the city her new capital and declared herself Empress, but Brynd is concerned over her fragile mental state. As the invaders grow in strength and numbers, Brynd makes an important alliance, but one that may cost him the support of the people. 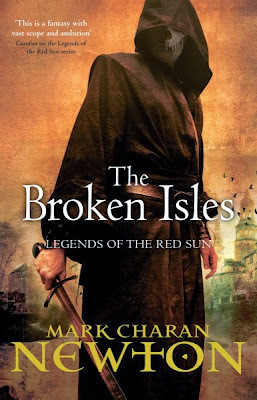 The Broken Isles is the fourth and concluding novel in the Legends of the Red Sun series which began way back in 2009 with Nights of Villjamur. Through that novel and its two sequels, City of Ruin and The Book of Transformations, Newton painted a convincing picture of a world slipping into an ice age, riven by internal conflict and external threats. It's definitely been one of the most interesting of recent fantasy series, fusing elements of traditional epic fantasy with the New Weird movement and with the Dying Earth subgenre. The structure of the series to date has been to use a different main cast in each book, sometimes comprising new characters and sometimes promoting former minor, supporting characters to main character status. It's worked well in previous novels, but in The Broken Isles Newton has to combine all of these characters into one larger cast operating in multiple locations to address all of the numerous plot strands he's been developing. Unfortunately, this does not work very well. The Broken Isles is the big, epic finale to a fantasy saga but has the same page count as the novels that came before it (just under 400 pages in paperback). Suddenly having to handle a greatly enlarged cast means that each character now gets rather short shrift in terms of development and attention. This problem extends to the plot and structure: the book opens with a chain of fleeing refugees who have to be saved from pursuit, whilst Brynd has to secure control of Villiren and deal with the increasingly bizarre Empress and secure an alliance with another faction of the alien forces and deal with cultists intent on resurrecting an ancient monster and deal with a racist crime lord determined to take control of the city and force foreigners out and save the entire Boreal Archipelago from annihilation at the hands of the Okun and their masters. The book's slim page count can't deal with the weight of all this at all. The result is that The Broken Isles feels like a tremendously detailed outline for a much longer and, frankly, much better novel. Scenes, even momentous ones, are short and perfunctory. There are no subtle moments of revelation, with info-dumping and exposition being the order of the day to clear up mysteries that have been around from the start of the series. Newton's prose, which has been enjoyable and offbeat since the first novel, is here reduced to the most simple and prosaic. The pacing tends towards the staccato, with scenes feeling almost disconnected from events around them. Things happen but they have no weight to them. This is a monumental shame, as Newton's ideas remain as fascinating as ever. The Mourning Wasp (developed with China Mieville) is a terrific creation. The idea of turning the invaders' own technology against them is a good one (the sort-of cultist storyline dealing with this is actually one of the better-handled ones in the book). The invading flying city is appropriately threatening. Frater Mercury's solution to the invading aliens is over-simplistic, but also appropriate to his character. But these moments are few and far between. The Broken Isles (**) is an exercise in frustration. 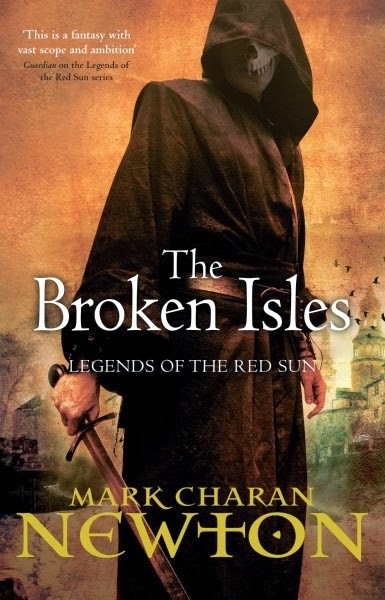 Mark Charan Newton is a talented writer, but this novel feels so compromised by word counts that most of the enjoyment has been leeched out of it, despite flashes of imaginative power. A tremendously disappointing conclusion to one of the more interesting fantasy series of recent times (and, alongside God of Clocks and The Born Queen, furthers something of a trend for Tor UK series to have disappointing finales). The novel is available now in the UK and USA. As usual, this is not an exhaustive list but shows what's on my radar for the coming year. No doubt a lot else will come along of interest on top of what's listed below. 2014 is another year of sequels, with Brandon Sanderson kicking things off with Words of Radiance, the much-delayed second volume of his Stormlight Archive sequence. Sanderson should also be releasing Shadows of Self (the sequel to The Alloy of Law) and Firefight (the sequel to Steelheart) before the end of the year, confirming his status as SFF's most prolific author. A former holder of that award, Steven Erikson, should grace us with Fall of Light (the middle volume of the Kharkanas Trilogy) at the end of 2014, as well as a short comic SF novel called Willful Child, which sounds like Redshirts but better. Ian Cameron Esslemont should also be giving us Assail, his final (for now) Malazan novel and the one which finally - after thirteen years - explains what happened to Silverfox and her T'lan Imass followers after the end of Memories of Ice. 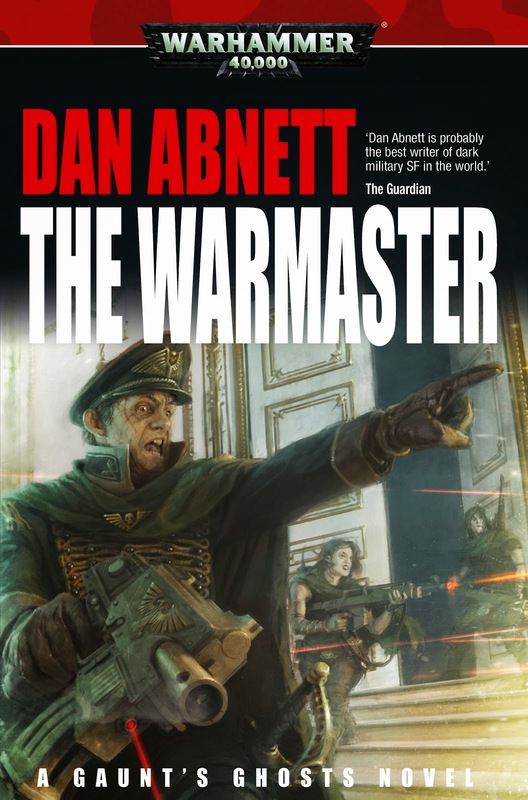 Another prolific author is Dan Abnett, who kicks off 2014 with Unremembered Empire, Book 627 of The Horus Heresy (seriously, Black Library, it's probably time to start thinking about wrapping this one up) before delivering the next Gaunt's Ghosts novel, The Warmaster in the summer. The second Bequin Trilogy novel may also scrape out in late 2014, but that's more likely to be a 2015 release. However, his next two non-Warhammer 40,000 novels, Monstercide and Triumff: The Double Falsehood remain MIA. For the other biggest fantasy hitters, 2014 will likely be a quiet year. George R.R. Martin fans should be momentarily sated by the release of The World of Ice and Fire in November (attempts to bring this forwards to April seem to have failed, sadly). This huge tome about the history and geography of Westeros and Essos already looks excellent, with some terrific artwork accompanying information that people have been dying to learn for two decades. The Winds of Winter, however, looks like a late 2015 release at the earliest. European and South American Song of Ice and Fire fans may also be interested by the release of A Knight of the Seven Kingdoms, the omnibus edition of the Dun k and Egg stories, which will be released in 2014. Bizarrely, UK and possibly American fans will have to wait until early-to-mid 2015 to see it appear. Patrick Rothfuss is also MIA, recently admitting that he had to delay The Doors of Stone by an additional year from his previously hoped-for 2014 release date. That puts the conclusion of the Kingkiller Chronicle back to some time in 2015. Joe Abercrombie will be back in 2014, releasing the first novel in a new world for a new publisher, Half a King in the middle of the year. Meanwhile, Scott Lynch will be releasing two books in 2014. The Bastards and the Knives is a novella collection which will act as a (non-essential) bridge between The Republic of Thieves and The Thorn of Emberlain. Emberlain itself remains tentatively scheduled for October/November 2014. R. Scott Bakker's eagerly-awaited The Unholy Consult is starting to look like a 2015 release, but could still just slip out at the end of the year if he gets the revisions to the book done quickly. Other long-awaited books include Destiny's Conflict by Janny Wurts, the penultimate volume of her massive Wars of Light and Shadow mega-series. Kate Elliott is starting a new series with The Black Wolves, whilst Steph Swainston is returning with a new Castle (aka Fourlands) novel. N.K. Jemisin is also starting a new series with The Fifth Season. Col Buchanan made quite a big splash with his first two novels, Farlander and Stands a Shadow, but has been MIA ever since. Fortunately, the third Heart of the World novel should be with us in 2014. Similarly, David Keck's The King in Cobwebs has been missing release date after release date, but the news that the first draft is (just about) complete and he is now working on rewrites means that a late 2014 release date is possible (though not confirmed). Tad Williams concludes (for now) his Bobby Dollar series with Sleeping Late on Judgement Day, due late in the year, whilst for many SF readers the return of Peter Watts with Echopraxia (a 'side-quel' to his well-regarded novel Blindsight) is also a major highlight. Unfortunately, J.V. Jones remains MIA with no word on her next Sword of Shadows novel, despite it now being almost five years since the previous book in the series was published. For newer authors, Mark Lawrence kicks off a new series with Prince of Fools, whilst Michael J. Sullivan moves to SF with his Kickstarter-funded novel Hollow World. Anne Leckie will be hoping to make the same kind of splash Ancillary Justice did with her sequel, Ancillary Sword, whilst Lauren Beukes also releases a new novel, Broken Monsters. Daniel Abraham continues his conquest of the publishing world with the penultimate Dagger and the Coin novel, The Widow's House, whilst his SF alter-ego James S.A. Corey will be releasing the fourth Expanse novel, Cibola Burn. Corey will also be working on a TV project (not the Expanse TV adaptation), which sounds interesting. Elsewhere in SF, Chris Beckett will be releasing Mother of Eden, a companion novel to his superb Dark Eden of a few years ago. David Wingrove publishes the eighth Chung Kuo novel, The White Mountain, but disappointing sales means that a hiatus for that series is likely. However, Wingrove will also be releasing a new SF trilogy, Roads to Moscow, starting with The Empire of Time. Peter F. Hamilton will be releasing the first novel in The Chronicle of the Fallers, a new duology in the Commonwealth universe, at the end of the year as well as his children's series The Book of the Realms. 2014 is looking like a good year for games, with a mixture of big-budget, triple-A releases, indie games and Kickstarted titles. For big-budget games, Thief (which everyone is calling Thief 4 regardless of it's a reboot or not) is resurrecting the classic PC series for the next generation. Unfortunately, early previews and trailers have not been hopeful, suggesting a more generic action title than the stealth-oriented earlier games in the series. However, the developers have good form and hopefully they can deliver something worthwhile. This will be quickly followed up on by Titanfall, the new first-person action game by the creators of the Call of Duty franchise. It may just turn out to be CoD-with-mechs, but it's looking interesting so far. Watch_Dogs is an open-world action, stealth and hacking game in which players will be able to use hacking to influence their environment. It's looking good, but how good will depend on how much the hacking is an integral part of gameplay and how much of it is a gimmick. Although still not formally announced, the PC version of Grand Theft Auto V (the worst-kept secret in the gaming industry) should land in the summer with superior graphics and intriguing modding potential. The modding scene is still keeping GTA4 in the public eye - and crucially, selling - on PC six years after release, so it's hoped that Rockstar will include some superior modding support for the game this time around. Open world driving will also play a part in the new Mad Max game, which ordinarily would not attract much attention apart from the fact it's being made by the same team behind the bananas (but awesome) Just Cause 2. Whilst not technically on the same level of budget, The Witcher III is for many people the RPG of 2014. Having previously seized BioWare's crown as kings of the single-player, linear RPG, CDProjekt Red are now targeting Bethesda's position as masters of the open-world fantasy game. CDPR's ambition cannot be faulted and the early previews of the game are jaw-dropping. That's more than can be said for BioWare's Dragon Age: Inquisition, which looks rather more tired and redundant with every passing preview. More old-skool RPG fans will be catered for by the tile-based Might and Magic X: Legacy and the Legend of Grimrock sequel. 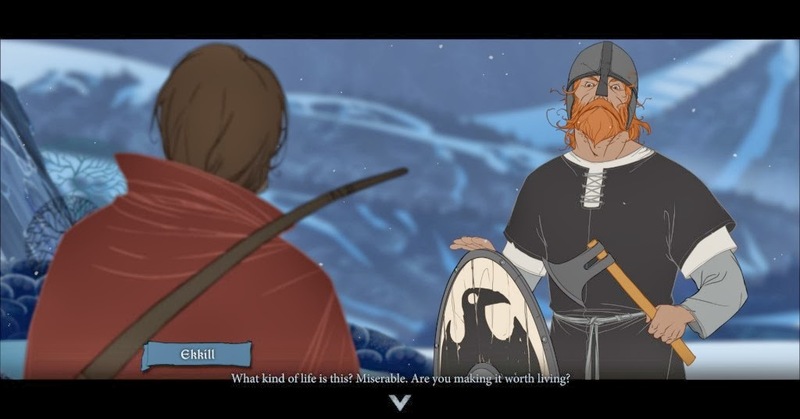 For indie games, The Banner Saga opens the year with its turn-based, fantasy-meets-Vikings-meets-XCOM-by-way-of-The-Oregon-Trail gameplay looking pretty solid. However, early previews have been cool on the game, citing problems with a lack of a tutorial and random story turns. No Man's Sky, a stunning open-world, procedurally-generated space game, was also looking good until the developers' studio was recently flooded. Hopefully they can get back on track to deliver a good game. Later in the year we should also get the already-controversial Hotline Miami 2, whilst a new, expanded edition of FTL launches later in the year. 2014 will be the first big test of Kickstarter as a games development platform. Pillars of Eternity looks absolutely stunning and will be the game to finally make or break Obsidian Entertainment's reputation as the heirs to Black Isle. Wasteland 2 will come out before that, however, and is looking quite impressive as well. Dragonfall, the first major expansion for Shadowrun Returns, is promising more open-world gameplay, player choice and - finally! - a proper save system. Broken Age, Tim Schafer's adventure game, has run into more problems and is launching as two parts, with the second half potentially not out until 2015. Note: Torment: Tides of Numenera won't be out until 2015. 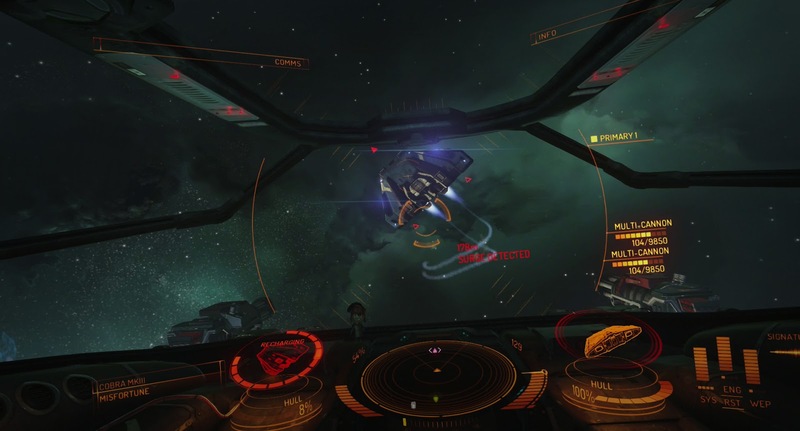 Kickstarter has also resurrected the space flight sim, with Elite: Dangerous being first out of the gate in the spring. Late in the year we should - hopefully - get Squadron 42, the single-player, combat-focused part of Star Citizen, but to be frank Elite is looking a lot more interesting at the moment with its focus on using real astronomy and procedural generation being used to populate a realistic galaxy of billions of star systems. Late in the year we should also get Satellite Reign, the spiritual successor to the Syndicate games. MMORPGs have, unexpectedly, taken a turn for the more interesting in 2014. The Elder Scrolls Online brings the most detailed, beloved single-player RPG universe into the multiplayer sphere with lots of rich lore and gameplay that is more derived from the single-player games than comparable titles like World of WarCraft. More fascinating is EverQuest Next, which will allow players to both destroy chunks of the landscape and create entire new universes accessible via portals. If SOE can pull off their desire to marry MMORPG mechanics to Minecraft, the results could be amazing. Star Citizen and Elite: Dangerous will also be attempting to bring MMORPG elements into space combat and trading without turning into EVE Online. If one company looks set to dominate 2014, it's Telltale Games. They start the year with both The Wolf Among Us and the second season of The Walking Dead already underway, and will launch both Tales from the Borderlands and Game of Thrones later in the year. Hopefully they haven't overextended themselves. Strategy fans have a few things to look forwards to this year: the Kickstarted Planetary Annihilation should hit the market, whilst Age of Wonders III unexpectedly resurrects the classic RTS/RPG crossbreed series. Galactic Civilizations III should also launch towards the end of the year. A larger Rome II expansion may also launch this year, which hopefully will solve the base game's ongoing bugs and technical issues. StarCraft II: Legacy of the Void will almost certainly be a 2015 - if not 2016 - release. 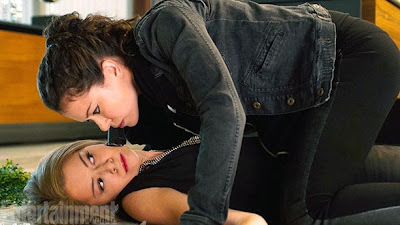 TV looks like it'll be interesting in 2014, with both Orphan Black and The Returned looking to prove that their excellent first seasons weren't just flukes (that said, The Returned likely will not air in the UK and USA until 2015). However, Agents of SHIELD and Under the Dome both need to see rapid improvement after initial outings that can be best described as 'disappointing'. Game of Thrones enters its fourth season, which will cover the latter half of A Storm of Swords, as well as introducing multiple characters and storylines from the later books. After this season, the TV show will be about two years from overtaking George R.R. Martin, hopefully providing the impetus for the final two novels to be published soon. However, in the meantime the show should give us a whole host of classic moments from the novels which should make this season easily as popular and as memorable as the last one. Personally, I'm most looking forward to the introduction of the Dornish characters. Doctor Who returns for its 34th season with the arrival of a new Doctor, played by Peter Capaldi. Hopefully Steven Moffat will jettison the confusing and contradictory continuity of the previous three seasons and start with a clean slate, but we'll see. Meanwhile, BSG veteran Ronald D. Moore is launching an SF show, Helix, and a time-travelling romance epic, Outlander, based on Diana Gabaldon's bestselling novels. Guillermo Del Toro is also giving us his first proper TV project, The Strain, based on his novels of the same name. Elsewhere, The Walking Dead and The Legend of Korra are set to return for new seasons. For films for next year, superheroes are again - tiresomely - dominating everything in sight. Christopher Nolan's Interstellar is intriguing, however, and the new Godzilla movie is starting to build a lot of momentum after a genuinely impressive, atmospheric trailer and actors like Bryan Cranston (late of Breaking Bad, so he knows good writing when he sees it) praising the unusually good script. At the other end of the budget scale is the Veronica Mars theatrical film, funded by fans via Kickstarter. For superhero movies, Guardians of the Galaxy will be a litmus test of how successfully Marvel can bring even really obscure comic characters (to the general public) to the screen. The second Captain America movie is also promising, as it will apparently feature a much darker take on SHIELD. X-Men: Days of Future Past will be either amazing or an incoherent mess featuring too many characters. Later in the year, the third Hobbit movie will make or break the trilogy, and it'll be interesting to see if The Hunger Games can maintain the momentum of the well-received second film through its final two parts. Elsewhere, a RoboCop remake, a 300 sequel/prequel and a fourth Transformers movie are all things that inspire only despair in the soul. However, there is a small chance they might be good, or lacking that, brainlessly entertaining. Gollancz's reprints of the first three Wild Cards books and the more recent ones seems to have been quite successful, as they will be reprinting further books in the series in 2014. 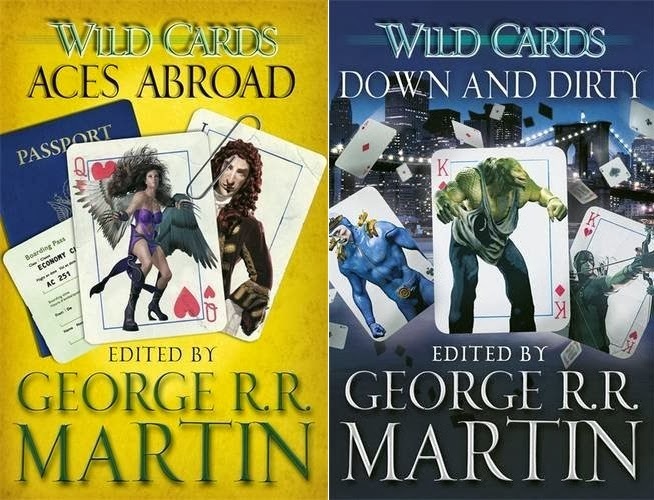 Wild Cards (#1), Aces High (#2), Jokers Wild (#3), Inside Straight (#18), Busted Flush (#19), Suicide Kings (#20) and Fort Freak (#21) are already available in the UK. The books from Inside Straight onwards establish a 'next generation' kind of setting mostly focusing on new characters with familiarity with the earlier books not assumed, however completists will no doubt be pleased to learn that they will be able to read more of the series in order by the end of next year.